Everyone can look good in eyeglasses. With modern designs in frames and lenses, eyewear can enhance your appearance as well as help you see better. Our certified dispensing staff is trained to give you expert advice on frames that best suit your face shape and hair color as well as your prescription. 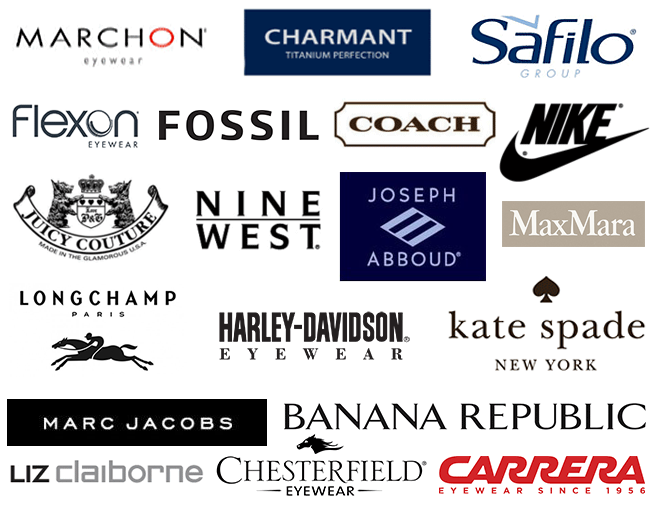 Our optical department stocks the finest frames from many manufacturers. With hundreds of frames in stock – from rimless to bold and funky plastics – we´re bound to have a style to suit you. Choose from a large selection of modern and traditional frames, including designers such as Nine West, Coach, Fossil, Kenneth Cole and Nike. Why do some eyeglasses look attractive on display in the optical shop, but not so great when you try them on? It could be that the frames are the wrong style for your face shape. It’s true — your face shape plays a significant role in whether a certain style of glasses will look good on you. To determine your face shape and eyeglass styles that will look best on you, pull your hair away from your face and look directly into a mirror. Take a close look at the overall shape and contours of your face and head. An oval face shape is considered to be ideal because of its balanced proportions. To maintain the natural balance of an oval face shape, look for eyeglass frames that are as wide as (or wider than) the broadest part of the face. Walnut-shaped frames that are not too deep or narrow are a very good choice. A heart-shaped face has a wide top third and a narrow bottom third. (Sometimes this is called a base-up triangle face shape.) To reduce the apparent width of the top of the face, choose frame shapes that are wider at the bottom. Thin, light-colored frames and rimless frames that have a light, airy appearance also are good choices. Diamond-shaped faces are narrow at the forehead and jawline, and have broad cheekbones that may be high and dramatic. This is the rarest face shape. To highlight the eyes and soften the cheekbones, try frames that have detailing or distinctive brow lines. Rimless eyeglasses and frames with oval or cat-eye shapes also can be good choices. 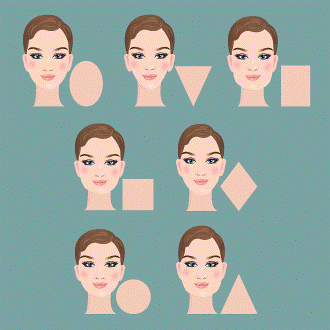 A round face shape has curved lines with the width and length in the same proportions and no angles. To make a round face appear thinner and longer, try angular narrow eyeglass frames to lengthen the face. Frames with a clear bridge and rectangular frames that are wider than they are deep also can be good choices. A base-down triangular face shape has a narrow forehead and widens at the cheek and chin areas. To add width and emphasize the narrow upper third of the face, try frames that are heavily accented with color and detailing on the top half (brow) of the frame. 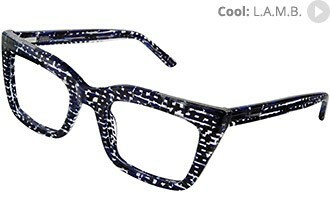 Frames with cat-eye shapes also can be good choices. Depending on your complexion and hair color, you may want to choose a warm or cool frame color. When choosing eyeglasses, face shape isn’t the only factor that determines which frames will look best on you — your skin tone, eye color and hair color also play important roles. The best eyeglasses will complement the coloration of your face, eyes and hair. Eye colors usually are a secondary element in determining your coloring because of the many variations of eye color. For example, blue eyes can range from a cool almost-violet to a pale blue-gray, which is warm. Brown eyes can vary from a light cider shade (warm) through a medium-brown to a cool almost-black. Liz Segre also contributed to this article.